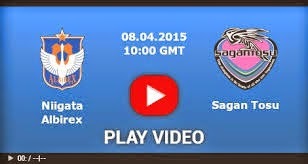 Albirex Niigata will play hosts to Sagan Tosu in this game in the Japanese Cup. The home team has won & drawn once each in its last 3 matches. Meanwhile, the away side is winless in its last 3 matches, losing twice during that period. Albirex has played 3 games on home soil so far this season, and is undefeated in all of them, winning once. Meanwhile, Tosu has played 2 games on the road so far this season, and lost both of them. Albirex has won 4 of the last 5 meetings between the 2 clubs.